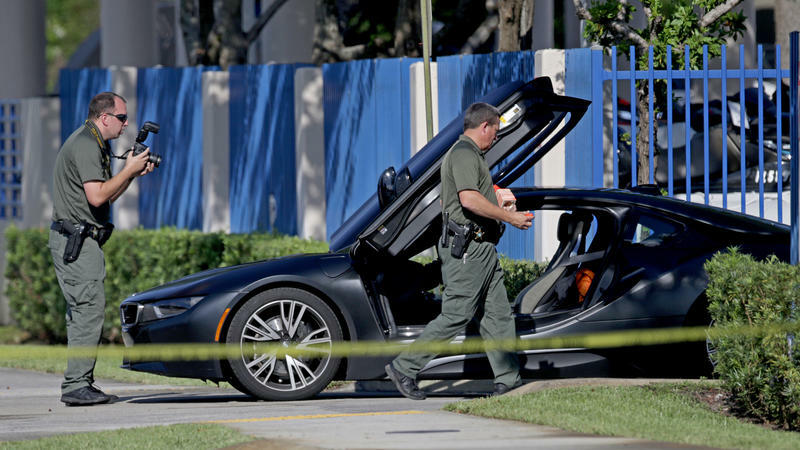 A BMW sits idle after reports of a shooting in Deerfield Beach involving Miami rapper XXXTentacion on Monday, June 18, 2018. Onfroy had risen to prominence with the song "Look at me!" on Soundcloud shortly after he was arrested on charges of domestic abuse against his pregnant girlfriend. He denied the charges recently to the Miami New Times. His latest album debuted at number one on the Billboard 200.